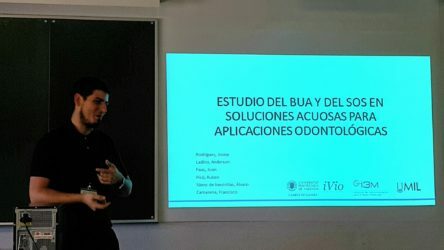 For the third consecutive year, the IVIO-UPV Chair is renewing its commitment to the promotion and development of scientific-technological knowledge in the field of dentistry.For another year, the agreement signed between the Universitat Politècnica de València and the Valencian Institute of Odontological Research (IVIO, for its Spanish intitials) is committed to carrying out educational activities, research, dissemination and knowledge transfer. Within the different fields of activity, the Chair is currently focusing its efforts on augmented reality and ultrasonic non-destructive evaluation applied to dentistry. 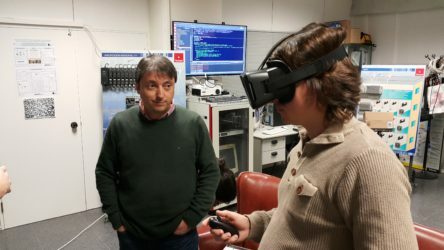 To this end, a series of activities have been programmed for the the 2018/19 academic year, including the second edition of the IVIO-UPV Chair Award for the best TFM (Mater’s Thesis); or the third of the IVIO-UPV Chair Symposium. This in addition to new collaboration grants, contracts and internships in companies, or participation in top-tier conferences such as Tecniacústica. 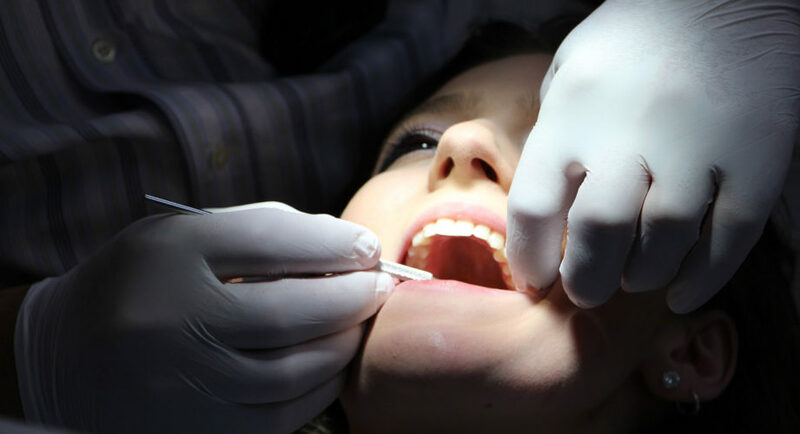 A new date where more than 50 dental professionals will gather to share the advances and the current techniques used in oral implantology and periodontics. This year the II Symposium was titled “From Planning to Execution: Digital Flow and Bone Regeneration” and featured the professionals Antonio Castilla and Luis Ilzarbe. Publishing content related to the Chair in the Campus Gandia science blog UPVGandiaCiencia and sharing it on social media channels such as Facebook, Twitter or on the Chair’s microweb. Collaboration in different scientific dissemination activities such as Science Week, open door days or ForoE. 2 research contracts and 2 collaboration grants for the Chair staff at the Gandia Campus. 1 internship contract in a company aimed at Audiovisual Communication students, to create content and digital communication. Tecniacústica Conference 2018. One more year, the IVIO-UPV Chair will participate in the 49th Spanish Acoustics Congress –TECNIACÚSTICA 2018– from October 24-26, 2018 in the city of Cádiz. More information and questions regarding the IVIO-UPV Chair research projects can be addressed in writing to Francisco Camarena, research professor at the Campus Gandia of the UPV: fracafe@fis.upv.es.